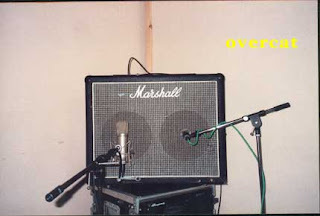 Local Kensington folks Roger Murdock and David Rick (current member of Wide Right and The Martinets and former guitarist of Bongwater and King Missile among hundreds of other bands) have finally put thier mouths where the money is with a new project called OVERCAT. Debut show will be committing improvisations preceding and in celebration of, THE SPECIAL PILLOW. The show is Wednesday at Williamsburg joint (managed by another Kensington local, Mark Lampert) Sound Fix record store and cafe.